﻿ What is the advantage of SFP+ transceiver? What is the advantage of SFP+ transceiver? SFP+ offers customers both immediate benefits and long-term advantages in supporting evolving data center needs. Firstly, sfp+ fiber optic transceiver can reduce costs. Through the simpler electronics of sfp+ transceiver, reduces costs per port compared to other technologies. Besides, according to its smaller form factor, allows higher density-ties per line card than other technologies. What’s more, as its pay-as-you-go model, allows line cards and I/O modules to a populated as needed. SFP+ module also increases the affordability of 10 gigabit Ethernet. 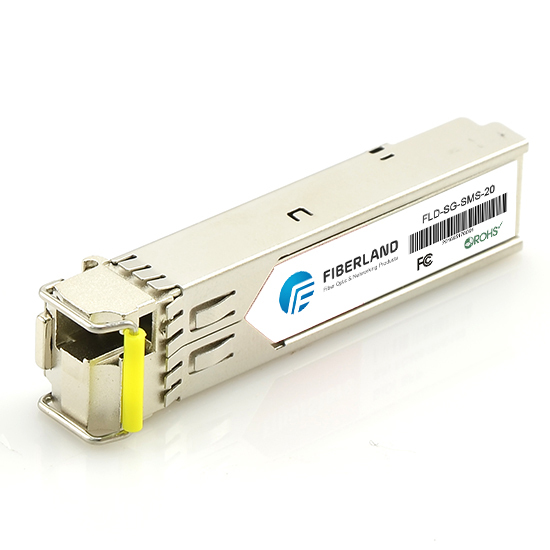 Secondly, Fiberland 's SFP+ fiber optic transceivers have high quality. Fiberland’s SFP+ fiber modules meet stringent performance specifications. What’s more, the 10Gb/s SFP+ of Fiberland can compatible with Cisco, Huawei, HP, Juniper, Alcatel-Lucent, 3com and so on. Thirdly,10Gb/s SFP+ can reduce power consumption than other 10Gb/s fiber optic transceiver, such as, XFP,XENPAK and X2. SFP+ draws only 1 watt (W) per port, which is significantly lower than competing technologies and Hot-pluggable, so unused ports are not powered up. At last, SFP+ is flexibility and availability. It offer hot-swappable capability and pay-as-you-go implementation capability. Fiberland’S SFP+ transceiver provides interface flexibility and Interoperates with respective XFP, X2, and XENPAK modules on the same link.